May 11: Estes Park School District (EPSD), Estes Park, CO — The EPSD is in charge of all education programs in the Estes Valley area and its focus is to prepare students to shine as citizens in a world that is increasingly diverse and technological. Sarah Bertucci, Professional Development Center Associate, and Sebastian Franco, Professional Development Center Public Allies Fellow, have supported the school district on outreach efforts in conjunction with the district’s Estes Thrives initiative. This Professional Development Center’s work focused on facilitating ongoing conversations to answer the question of what skills students need in order to succeed in our complex, ever-changing world. May 10 – 12: Big Picture Learning, College, Career and Civic Readiness Networked Improvement Communities (CCCR-NIC), San Diego, CA — The Center for Research on Equity and Innovation at High Tech High Graduate School of Education has convened six educational reform organizations over the past two years (Big Picture Learning, High Tech High, ConnectedEd, New Tech Network, Asia Society, and Envision Education) focusing on college, career and civic readiness. Eagle Rock has served as Big Picture Learning team lead to increase the number of underrepresented students who graduate ready for college, career, and civic life. The high impact areas of focus include: college access and retention, high quality internships, public presentations of learning, and reducing chronic absenteeism. Michael Soguero and Jimmy Frickey, Eagle Rock’s Restorative Justice Associate and Explore Week Coordinator, went to High Tech High in San Diego as they continue to support the conference on Big Picture Learning through facilitation and planning of the event. 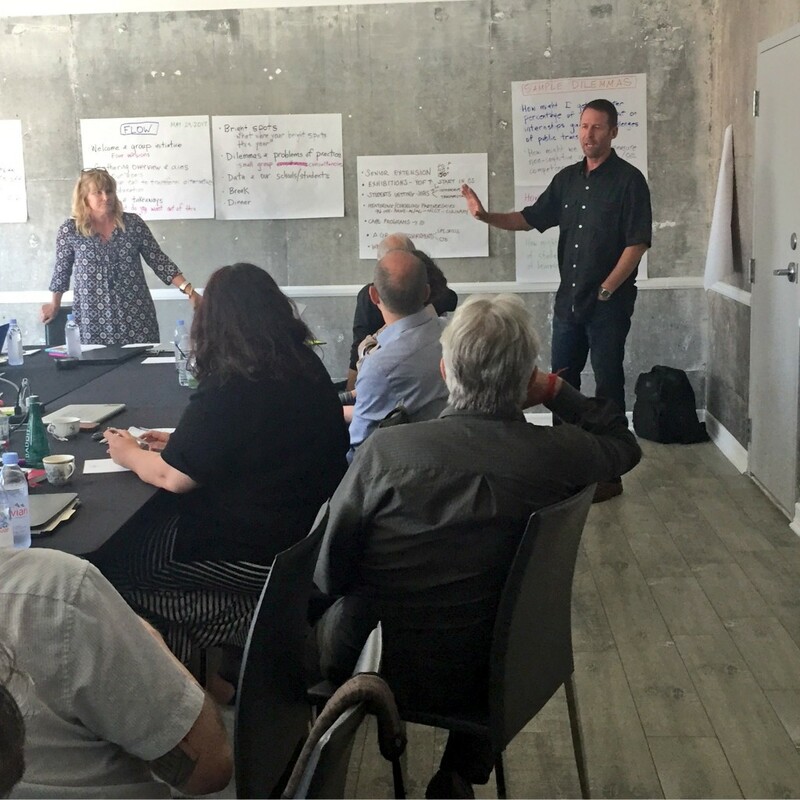 May 17 – 19: International Leadership Entrepreneurial Development Arts Design (iLEAD), Santa Clarita, CA — iLEAD is a network of charter that is based on project-based learning. Eagle Rock Associate Director of Professional Development, Dan Condon, met with iLEAD’s leadership to continue supporting and facilitating protocols centered around proficiency-based graduation as the group utilizes those practices for students. May 18 – 19: Deeper Learning Cohort, Baltimore, MD — As part of her work as a Deeper Learning Equity Fellow, Sarah Bertucci has been working with a group of five schools to improve equity through student independent projects. This Growing Equity Together project is nearing the end of its one-year cycle of Improvement Science. The work with City Neighbors High School (CNHS) has focused on teachers knowing student interests in order to best support their independent project work. On this visit, Sarah and Nigel Taylor — an Eagle Rock student —interviewed students and teachers about this year’s independent project work and helped the CNHS team set goals for the Summer Institute they will attend at Eagle Rock in Estes Park, Colo., in July. May 19 – 21: Algebra Project Alliance, St. Louis, MO — The Algebra Project Alliance focuses on providing a greater quality of education through math at a national level. It sees the importance of having future generations understand math as this country continues to become more technological and math focused. Michael Soguero and Becky Poore, Eagle Rock School Math Instructional Specialist, met again this May with the group to continue planning a national design that can improve the quality of education delivered by Algebra Project Alliance. May 23: I Have a Dream Foundation (IHAD), Boulder, CO — iHAD provides support and resources to high school students by helping them graduate and achieve their dreams of attending college. Most students in this program have an opportunity to receive a four-year scholarship to help them economically pursue a college or vocational school degree. Dan Condon and Sebastian Franco facilitated program improvement using a success analysis. Both Dan and Sebastian worked with the team to discover new possibilities to improve the quality of work they produce for their schools and students. May 24 – 25: Big Picture Learning (BPL), Los Angeles, CA — Big Picture Learning was founded in 1995 with the purpose of establishing students as the center of their own education. They would also spend time in their communities under the tutelage of a mentor and evaluated through exhibitions and demonstrations of achievements, motivation, and habits of mind, hand, and heart. Michael Soguero, Professional Development Associate Anastacia Galloway, and Sebastian Franco worked with a team of educators whom are all involved in innovative schools and are working together to continue developing best practices for their students. They focused on community of practice work as the lead team looked for new ways to approach their dilemmas. May 26: Rosemary Anderson High School (RAHS), Portland, OR — RAHS campuses are community-based alternative high schools serving at-risk youth with the school assisting them academically and with career training. Anastacia Galloway traveled with Anna Magle-Haberek, our Human Performance Center Instructional Specialist, to continue work on curriculum development as they explore new ways to build their curriculum. 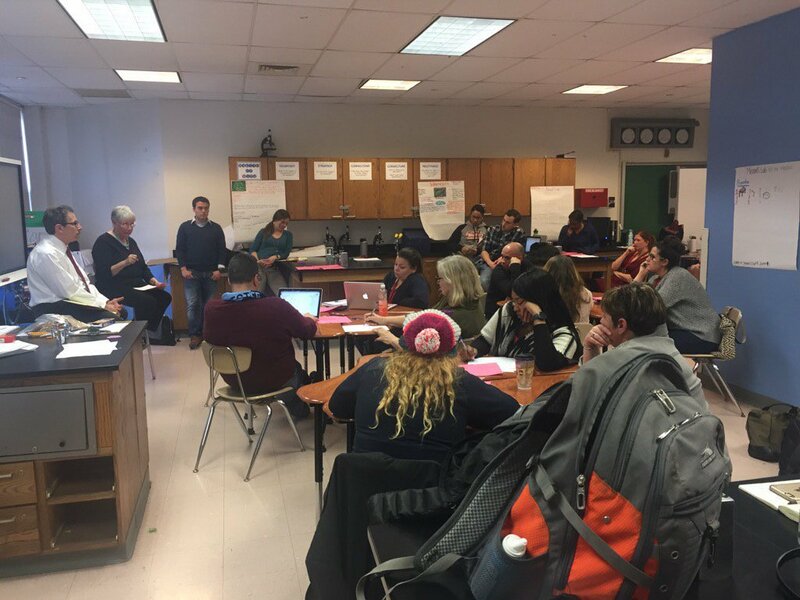 May 30 – 31: Deeper Learning Cohort, Bronx, NY — Like City Neighbors High School, Fannie Lou Hammer Freedom High is part of the Growing Equity Together cohort that is focused on improving equity through student independent projects. Sarah Bertucci, Sebastian Franco, and Alexus Bell (our 2016/2017 Public Allies Teaching Fellow in Science) met with individuals from Fannie Lou to reflect on the successful independent projects that students have completed this year. May 31 – June 2: Student Centered Deeper Learning-Philadelphia (SCDL): The SCDL — a newly formed group based out Philadelphia, PA — has four goals: Build capacity in existing schools where student-centered deeper learning is already advocated for; incubate new such schools; build assessment tools and other critical infrastructure for SCDL models; and, facilitating cross-sector dialogue and collaboration about developing SCDL models. 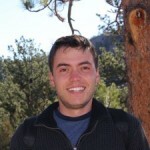 Michael Soguero traveled to Philadelphia to continue work with SCDL-Philadelphia as it seeks ways to support the work of progressive education. June 8 – 9: RiseUp Community School, Winooski Middle/High School (WMHS), Vermont Personal Learning Collaborative, Winooski & South Burlington, VT — These schools and organizations are focused on developing their practice of Proficiency/Competency-Based Education. Sarah Bertucci is working with these schools and six others that are part of the Vermont Personal Learning Collaborative to improve their proficiency/competency-based practices through school visits at Winooski Middle/High School and Vermont Personal Learning Collaborative, and reflect dialogue with all participants. June 12 – 13: Albuquerque Public Schools Office of Innovation Magnets, Albuquerque, NM — The Innovation Magnets is a program that provides specialized and personalized curriculum not found anywhere else in the Albuquerque Public School District. It focuses on students’ personal interests as they prepare for careers. Dan Condon is supporting this group as it finds new ways to enhance this new program within the district. June 14 – 16: The Leadership High School Network (LHSN), Albuquerque, NM — The Leadership High School Network supports students who have not done well in the traditional education system and provides them with tools to prepare them for future careers. Dan Condon and Michael Soguero will be working with this group as it facilitates various protocols during a mid-June team retreat. June 22 – 23: Education Reimagined, Chicago, IL — Education Reimagined is an innovative organization that “speeds up” the growth and impact of learner-centered education around the United States. The group supports and brings in new educators with similar mind-sets, and supports students across the country that struggle with traditional systems. Michael Soguero, Megan Rebeiro (Eagle Rock Director of Students), and Jen Frickey (Eagle Rock Director of Curriculum), are participating in a pioneer-lab training in order to learn different approaches they can consider bringing to Eagle Rock School. June 22 – 23: Winooski Middle/High School, Winooski, VT — Winooski Middle/High School has been a partner of our Professional Development Center for three years, all while it has progressed on the path to becoming a student-centered, proficiency-based school. At its upcoming School Development Institute, Sarah Bertucci will facilitate the process of teachers designing proficiency-based units to teach in the forthcoming school year. These units will culminate in complex projects that demonstrate proficiency in Winooski’s graduate expectations. June 26 – 30: Austin Independent School District (AISD), Austin, TX — The Austin Independent School District is responsible for the quality of public education in Austin, Tex. Its mission prepares students for college and beyond as they live in one of the best cities for working and living. Michael Soguero and John Anderson (Eagle Rock Human Performance and Outdoor Education Instructional Specialist), continue working with AISD leaders to develop and implement an entrepreneurial education program. This new program furthers develop of the business aspects of education in the belief that entrepreneurship is a key component of American lives. July 4 – 5: Northwest Regional Education Service District, Oregon — The Northwest Regional ESD is providing tools and resources to students in order to prepare them for higher education and potential careers. Sarah Bertucci supports this northwest Oregon school district by facilitating a leadership retreat focused on creating a common mission for the team’s work. July 19: Public Allies, Milwaukee, WI – Public Allies Inc., an Eagle Rock partner that facilitates our Teacher Fellowship Program, is a national movement committed to advancing social justice and equity by engaging and activating the leadership capacities of our young people. Here, Dan Condon will continue work with the national program team on its Pathways Project and begin collaborating with its alumni network in supporting alum working in high schools nationally. July 20: E’Tude, Sheboygan, WI — The E’tude Group teaches students a set of skills and values that can become crucial as they prepare to become part of the American workforce in these changing times. Dan Condon again meets with the group as it continues to define student learning as a part of a larger strategy mapping process and the development of a balanced scorecard. This will be based from the information gathered last trimester. July 24 – 28: Big Picture Learning (BPL), St. Louis, MO — Big Picture Learning students spend time in their communities under the tutelage of a mentor and are evaluated through exhibitions and demonstrations of achievements, motivation, and habits of mind, hand, and heart. Sarah Bertucci is facilitating a retreat for Big Picture’s five regional directors as they focus on collectively improving their work, with a focus on student internships. July 24: The New Teacher Project (TNTP), Milwaukee, WI — The New Teacher Project seeks to improve the quality of teachers nationally through trainings and resources that can benefit student’s experience in school. Dan Condon is once again meeting with this group as it focuses on improvement science in identifying and acting on problems of practice. Aug. 4: Alpine Institute at Flagstaff High School (Flagstaff, AZ) — The Alpine Institute at Flagstaff High School is a new magnet program that is being utilized at the elementary and middle schools and is now moving towards the high school level. This program provides an academically focused place-based service learning educational opportunity for all district students. Sebastian Franco and Anastacia Galloway are meeting with the Institute’s leadership for the first time this summer, focusing on creating a common goal and searching for ways to get everyone on board with a common approach regarding students. August 14 – 15: Winooski Middle/High School, Winooski, VT — Sarah Bertucci is facilitating a retreat for the teacher leadership team at Winooski Middle/High School as it continues school transformation work toward becoming a student-centered, proficiency-based school. 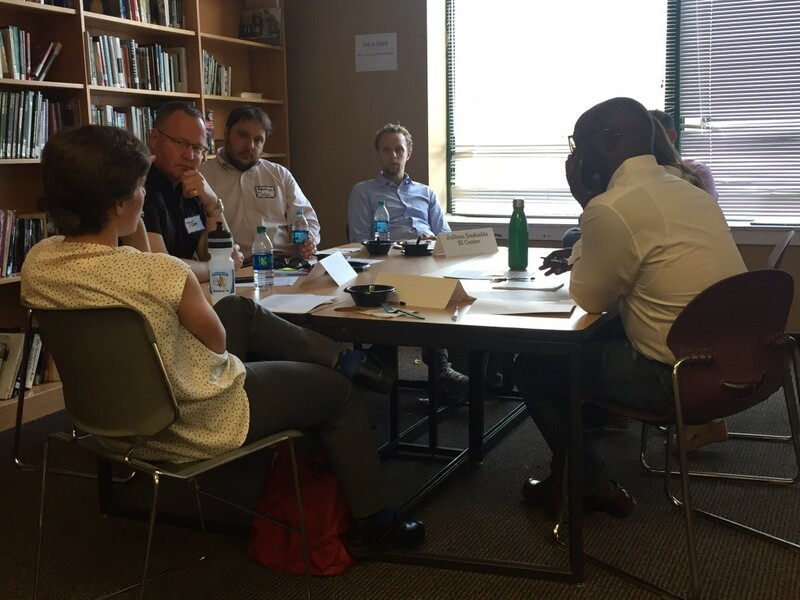 August 23 – 24: Puget Sound Consortium for School Innovation (PSCSI), Seattle, WA — The Puget Sound Consortium for School Innovation is spearheading a new project called School Foundry, a leadership incubator in partnership with Gonzaga University’s Principal Certification Program. Dan Condon will help launch the incubator, co-facilitating with PSCSI during a two-day retreat with fellowship participants. If you are interested in the work we do at Eagle Rock, or want to know how your school or organization can connect with our Professional Development Center, please contact our associate director of professional development, Dan Condon, by emailing DCondon at EagleRockSchool dot org. About the Author: The information for this post was compiled by Sebastian Franco — the 2016/17 & 2017/2018 Public Allies Fellow in Professional Development at Eagle Rock School and Professional Development Center in Estes Park, Colo. A graduate of Colorado State University in Fort Collins, Colo., Sebastian holds double degrees in political science and international studies and a minor in Spanish. This entry was posted in Professional Development Center and tagged Algebra Project Alliance, Alpine Institute at Flagstaff High School, Anastacia Galloway, Anna Magle-Haberek, Asia Society, Austin Independent School District, Big Picture Learning, Center for Research on Equity and Innovation, Dan Condon, Deeper Learning Equity Fellow, E’Tude Group, Education Reimagined, Envision Education, Estes Park School District, Fannie Lou Hamer Freedom High School, High Tech High, iHAD, iLEAD, Innovation Magnets, Jimmy Frickey, Jon Anderson, Leadership High School Network, Michael Soguero, Northwest Regional ESD, Public Allies, Puget Sound Consortium for School Innovation, RiseUp Community School, Rosemary Anderson High School, Sarah Bertucci, Sebastian Franco, Student Centered Deeper Learning, The New Teacher Project, Winooski Middle and High School.